Published: April 3, 2015 at 02:58 p.m. 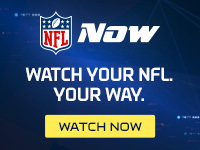 Updated: April 3, 2015 at 11:37 p.m.
After sitting out all of 2014, Josh Freeman is back in the NFL with the Miami Dolphins. The quarterback's comeback inspiration: Kurt Warner. "I haven't found anybody with the same exact situation, but I'll tell you, last week I was out in Arizona working out and I had a chance to spend a little time with Kurt Warner while I was out there," Freeman told reporters Friday in a conference call. "He's a guy, a prime example of a guy who was out of football and got that call and stepped into a situation and ultimately made the most of it. Kurt's an amazing guy, a competitor, and his approach, going into his time with the Rams, was definitely something I can learn from." From any perspective, Warner would be a good role model for a maligned quarterback such as Freeman. Not only did Warner overcome adversity to earn an NFL career. He doubled-down on the overcome-storyline by leading the Arizona Cardinals to the Super Bowl after being benched by the New York Giants. "Nothing is ever promised in the NFL," Freeman said. "I've known that since Day 1. It was a situation where things didn't work out." Barring injury, Freeman is unlikely to find a substantial role in Miami behind Ryan Tannehill and Matt Moore. However, Freeman, like Warner before him, is just looking for a shot.